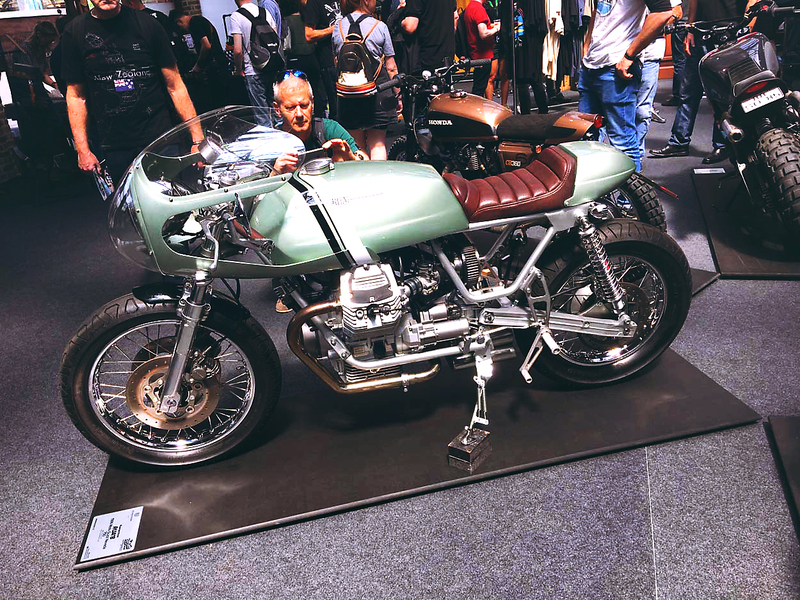 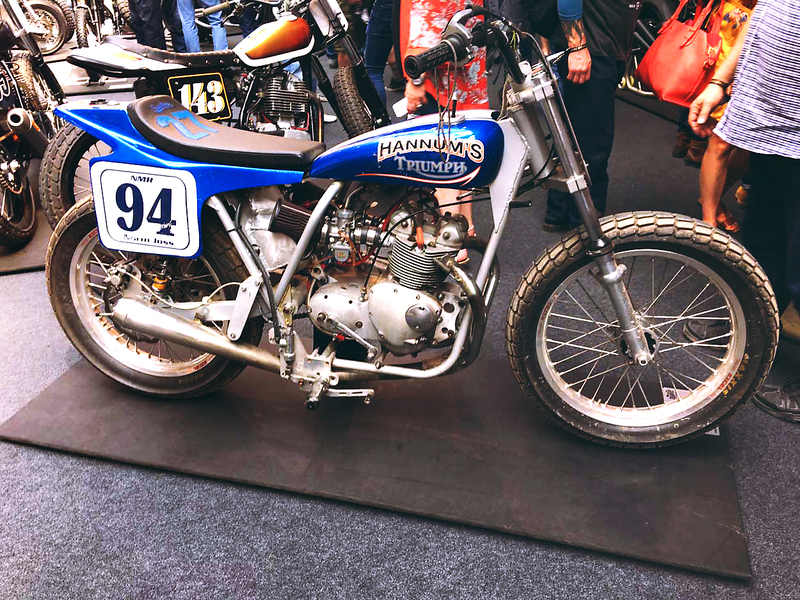 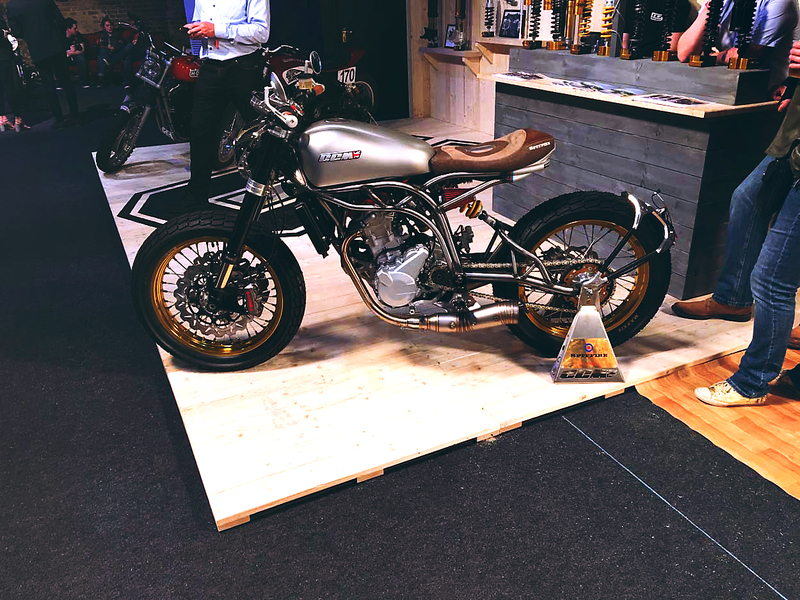 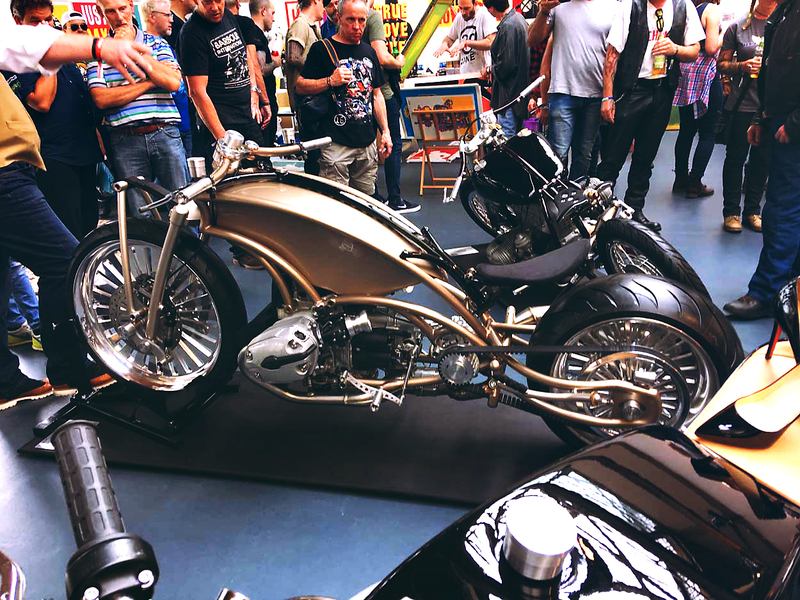 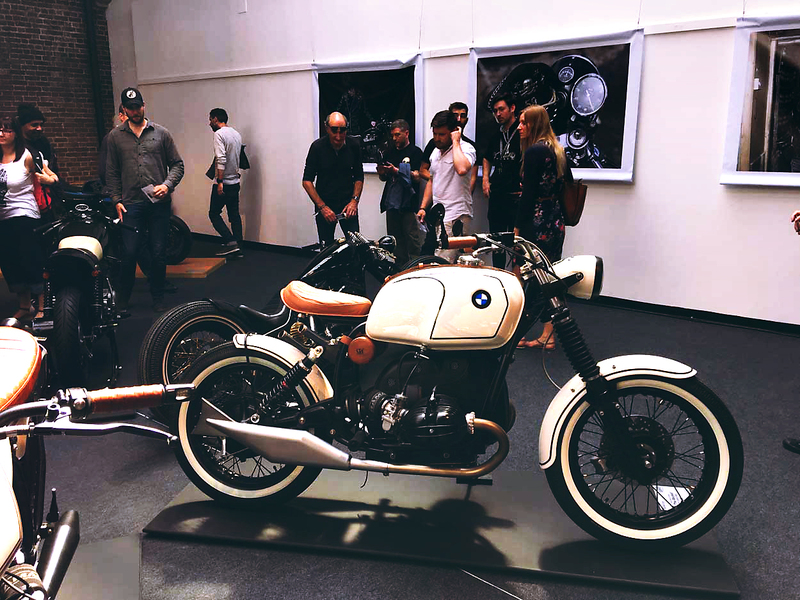 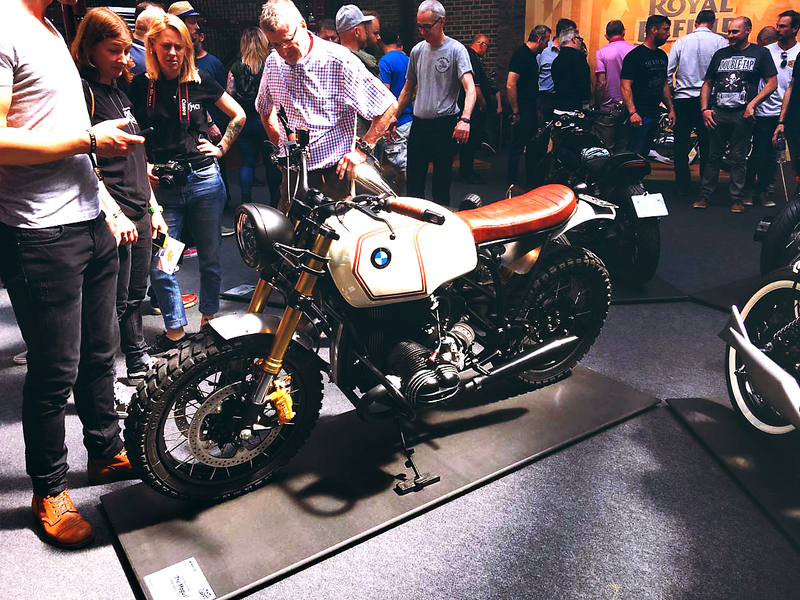 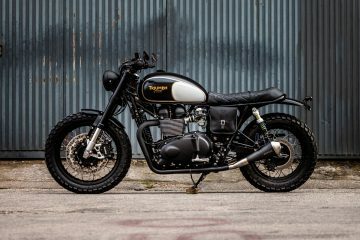 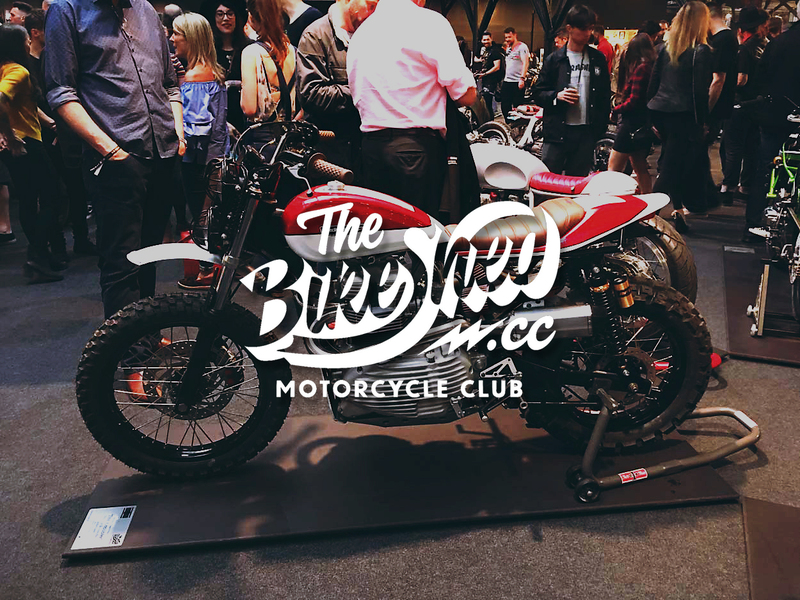 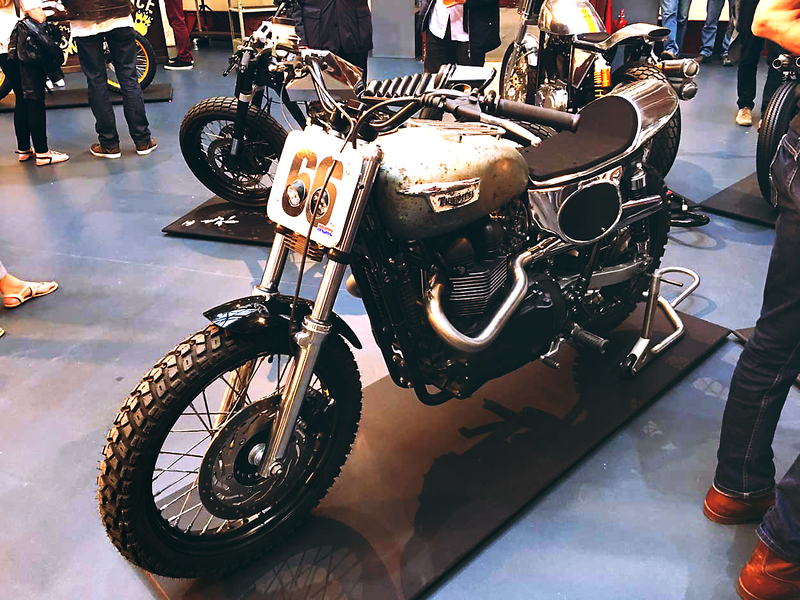 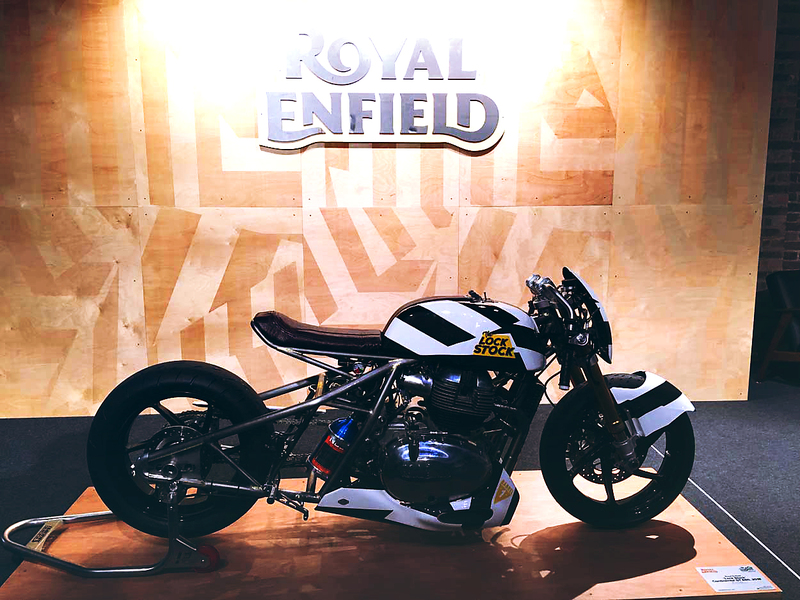 In those five years, I have witnessed the Bike Shed Show grow from a small ‘Event’ showcasing perhaps 15 to 20 bikes and a single trendy burger van, to possibly The Greatest (Bike) Show on Earth! 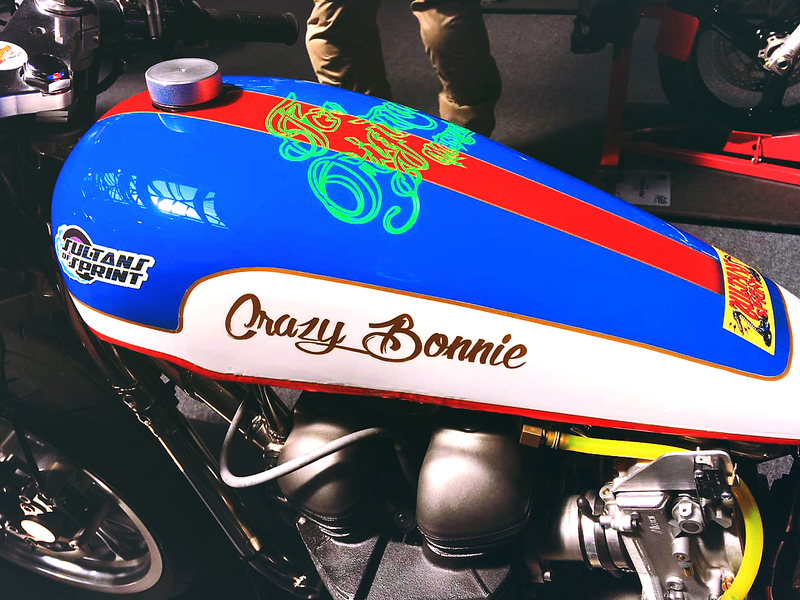 (I wonder if Dutch can sing like Hugh Jackman?) 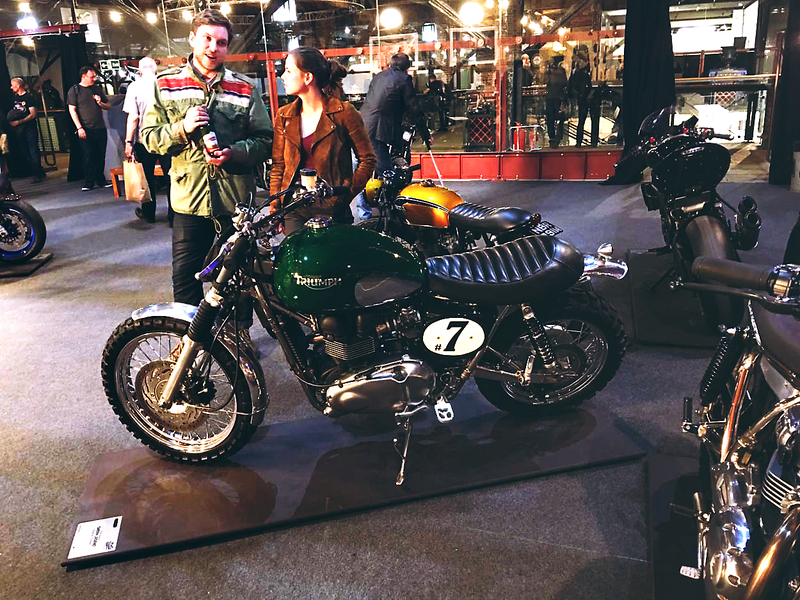 The wife and I visited this year’s show on the Friday VIP and Press night, which nether of us were, thought the wife may disagree, but the Friday show was also open to the general paying public, so I didn’t need to blag my way in again. 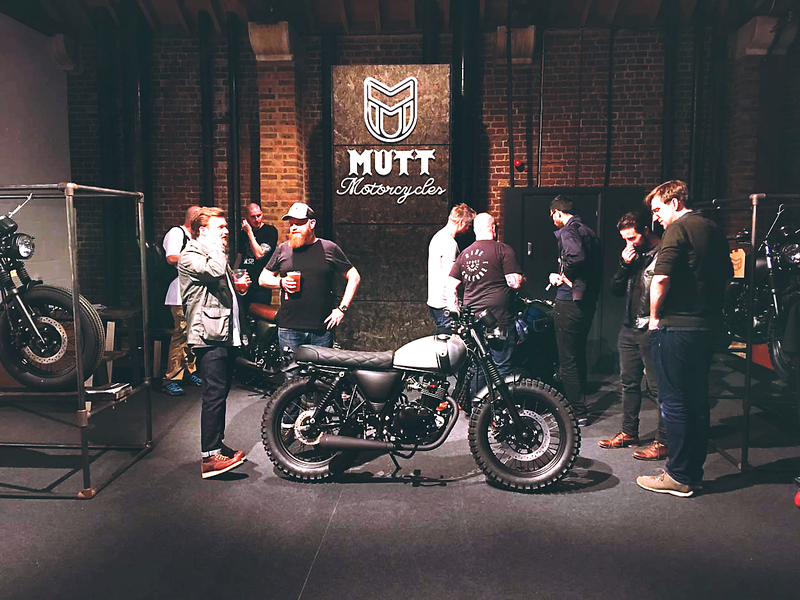 Unlike the Saturday and Sunday shows visited in the past, the Friday night show entered via the West Entrance on Pennington Street and not the usual gated entrance on Wapping Lane. 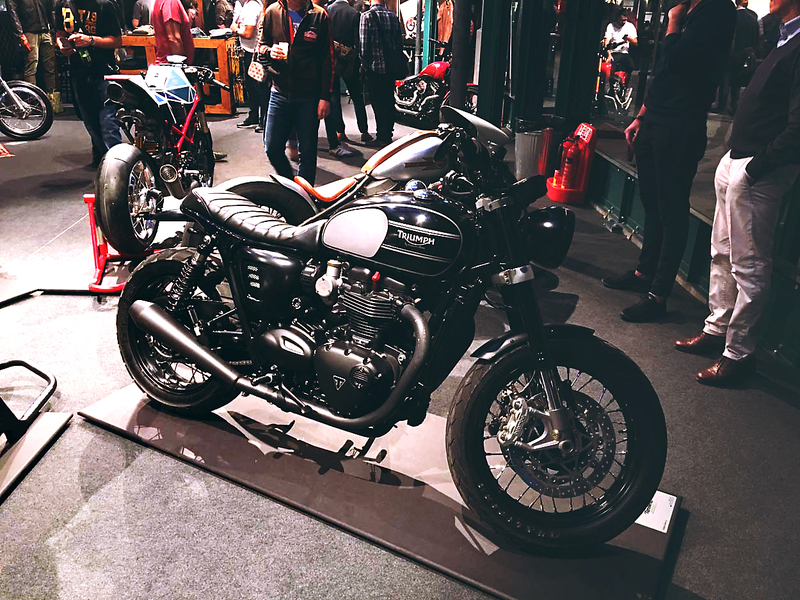 The Pennington Street entrance puts us straight on the Great Gallery Courtyard, right in the centre of the show – though entering here turned me into a kid in a candy store, where the hell do we go first!. 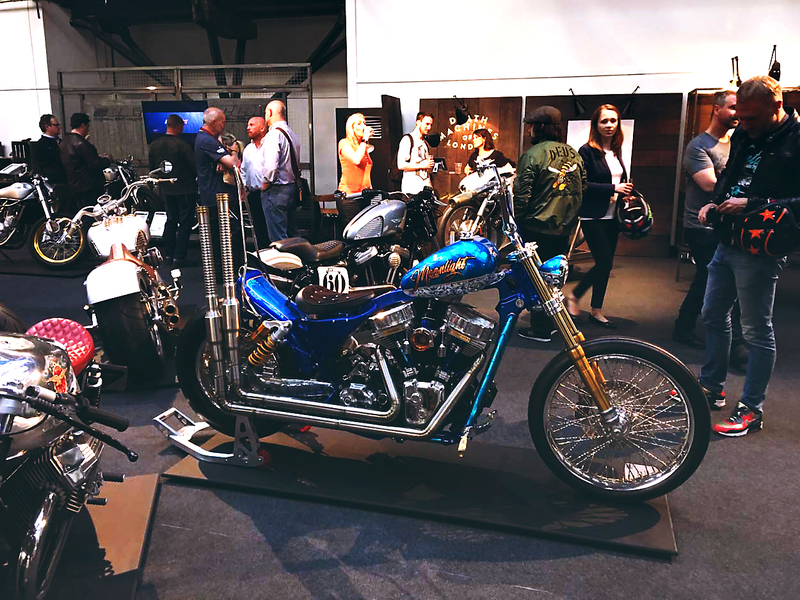 The choice was taken away from me by the wife, who could clearly see a decision wasn’t going to be made any time soon – walking around the quality and quantity of custom motorcycles was something to behold, P. T. Barnum eat your heart out, this show had everything from tattooed men in the tattoo parlour to bearded ladies, no, sorry, those were bearded men..
…there were artists screen printing and selling their work at the same time, a chap crafting sheet aluminium into something beautiful, and some of the coolest motorcycle apparel and hand painted crash helmets money could buy. 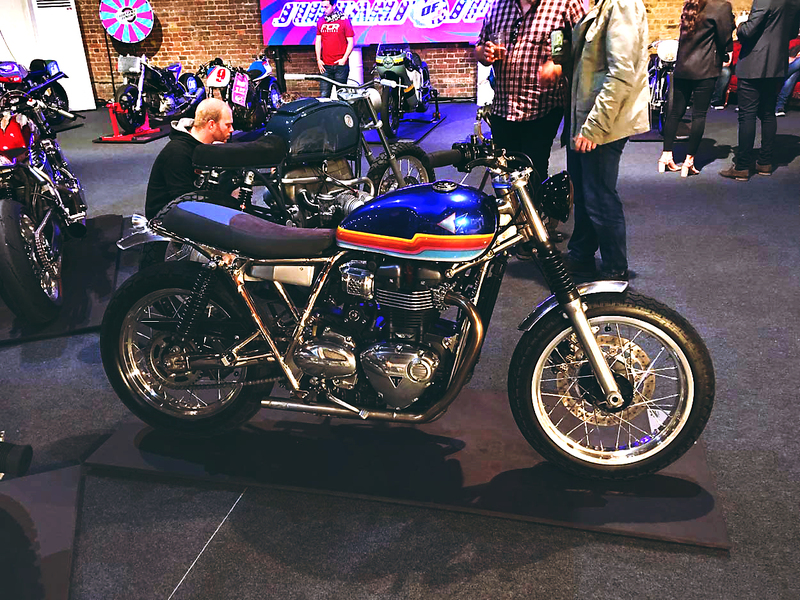 In the Great Gallery Courtyard, where many gathered to compose themselves, you could find food, live bands and an unendorsed and unofficial Henry Cole lookalike posing for pictures with those not knowing that Henry isn’t that old, or does the presenter of the Motorcycle Show and Shed and Buried have a beer gut? 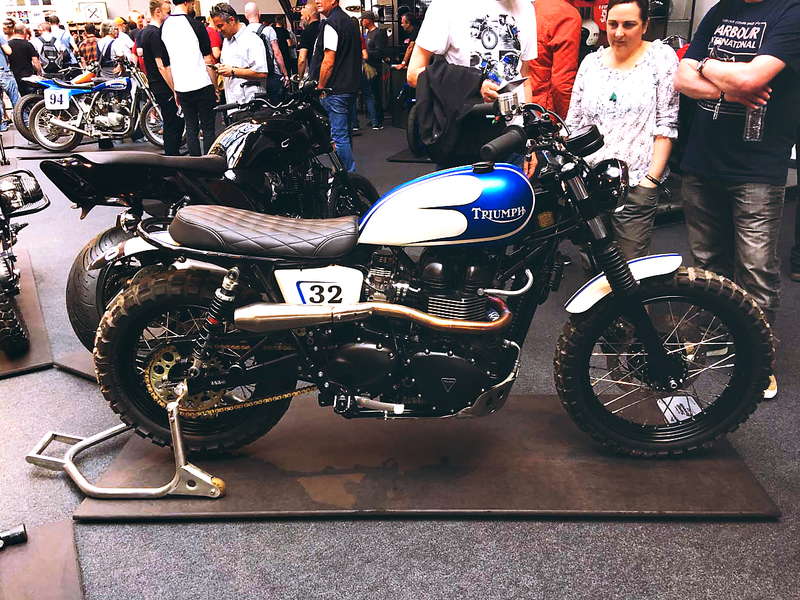 While sitting at breakfast the following morning, slightly hung over, and trying to remember the events of the previous evening, I was checking out the Instagram feed, a feed informing me just how much had been missed, thank god for a three-day pass! 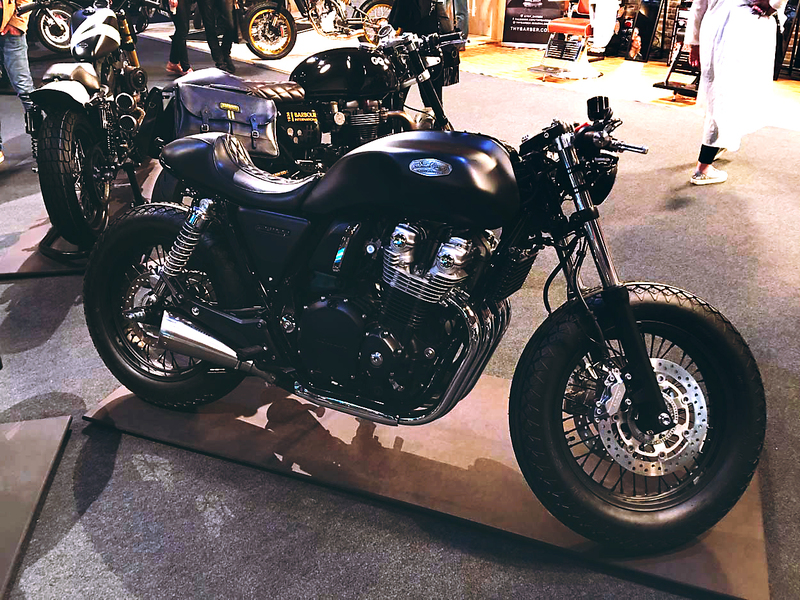 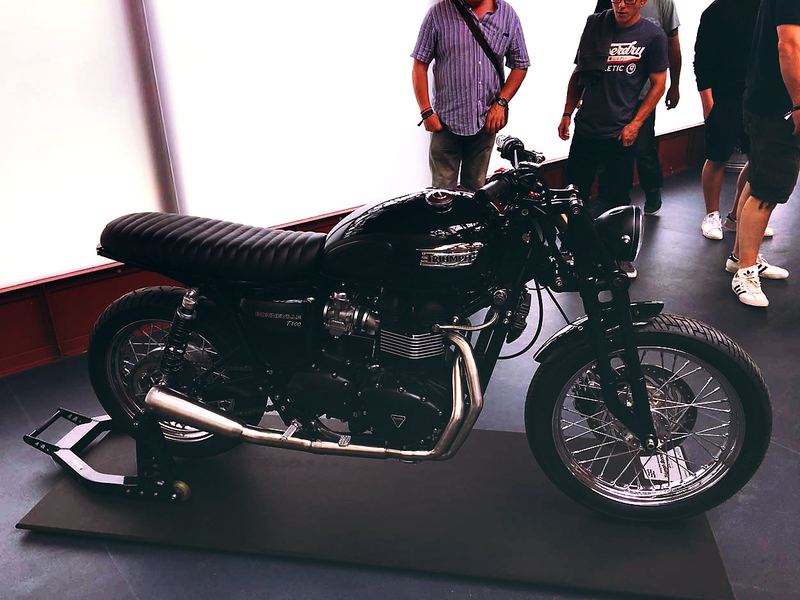 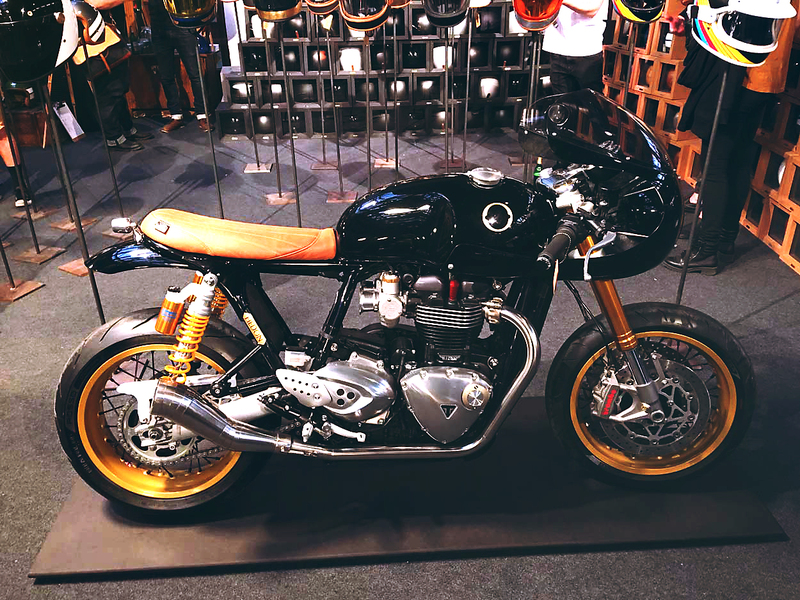 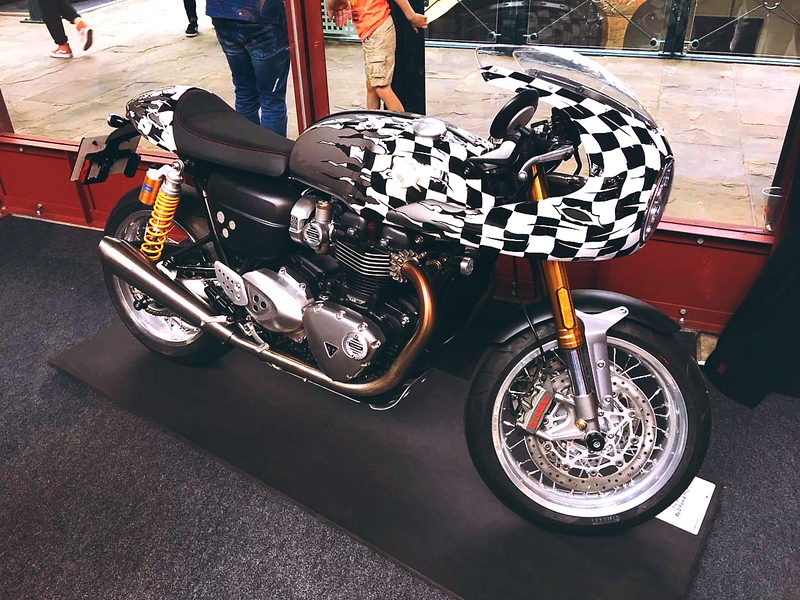 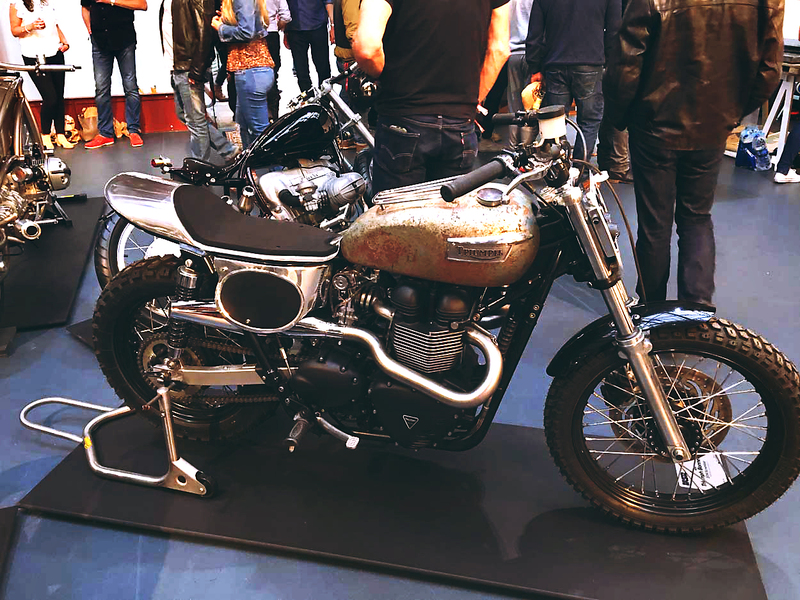 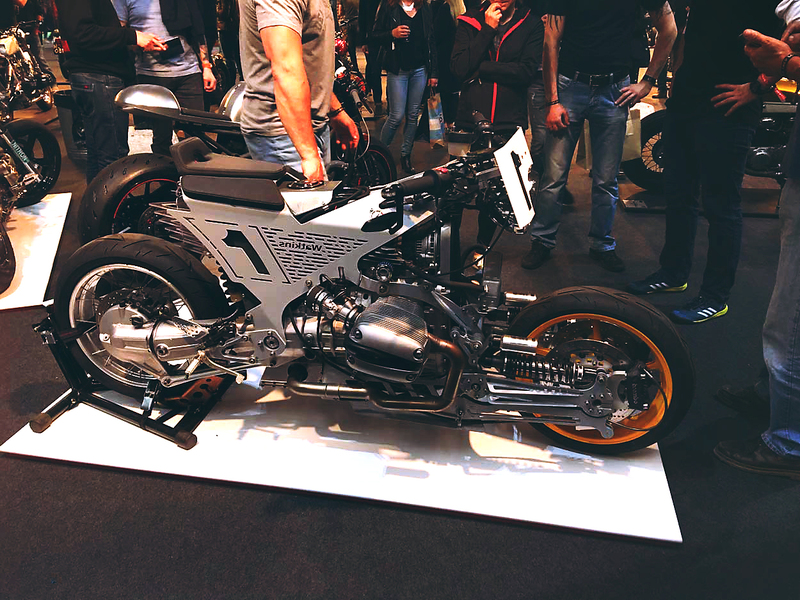 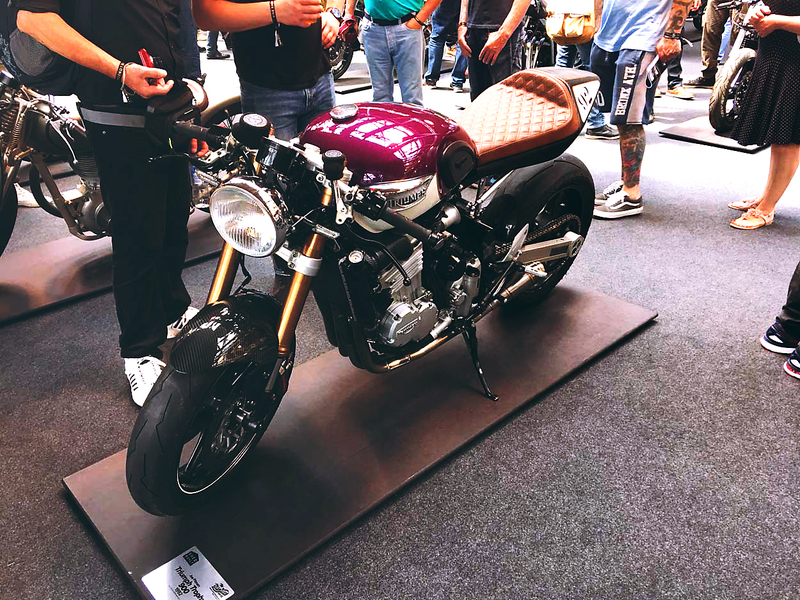 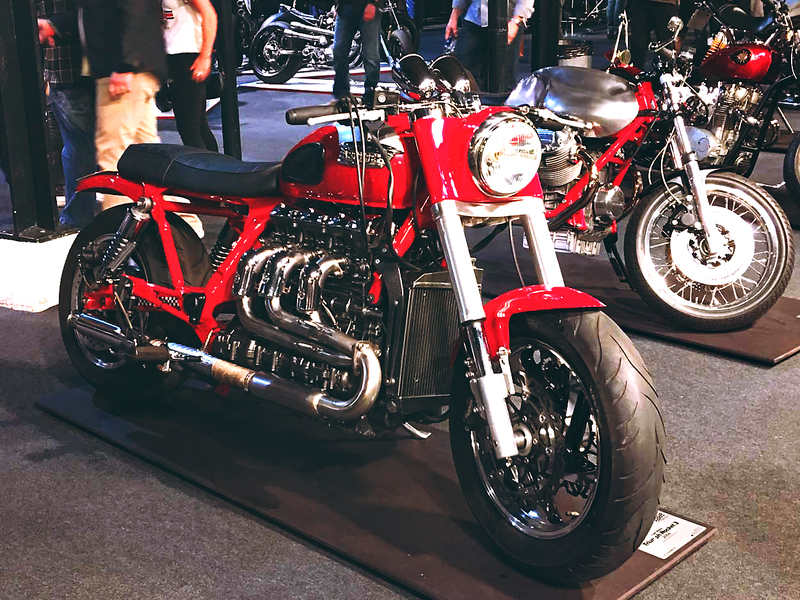 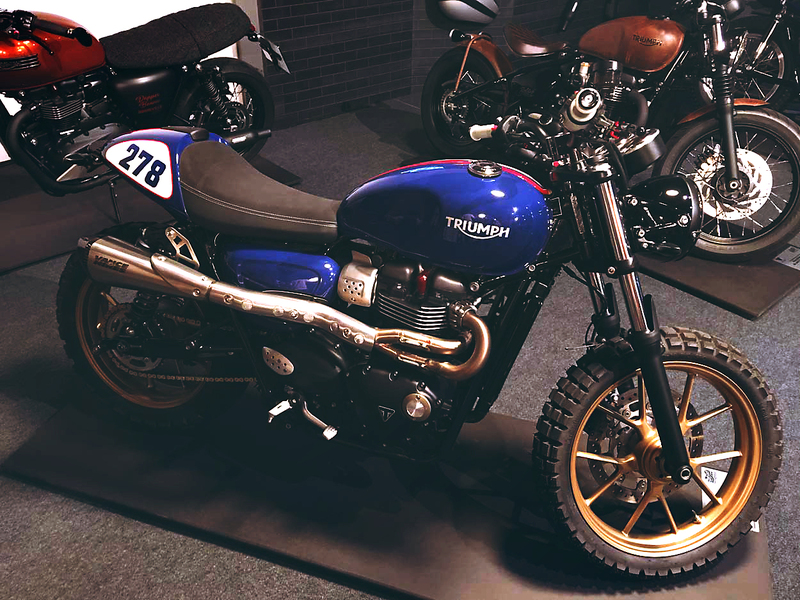 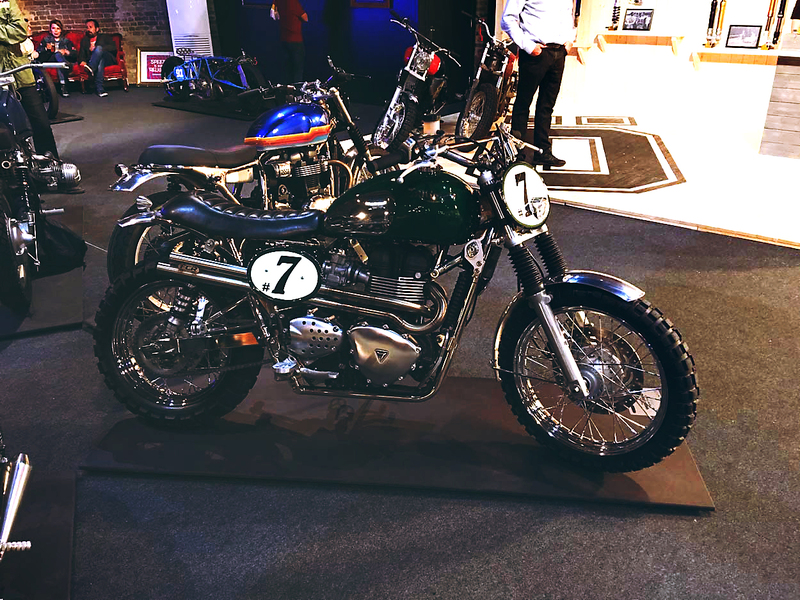 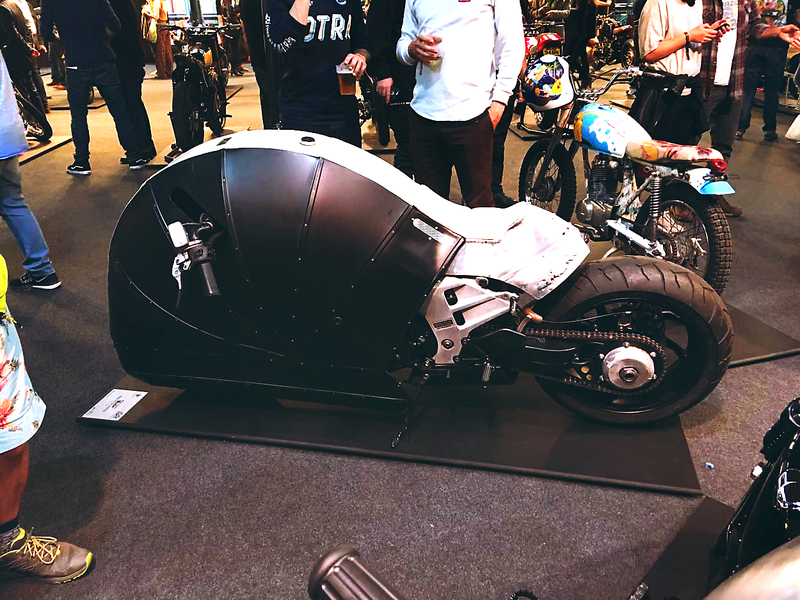 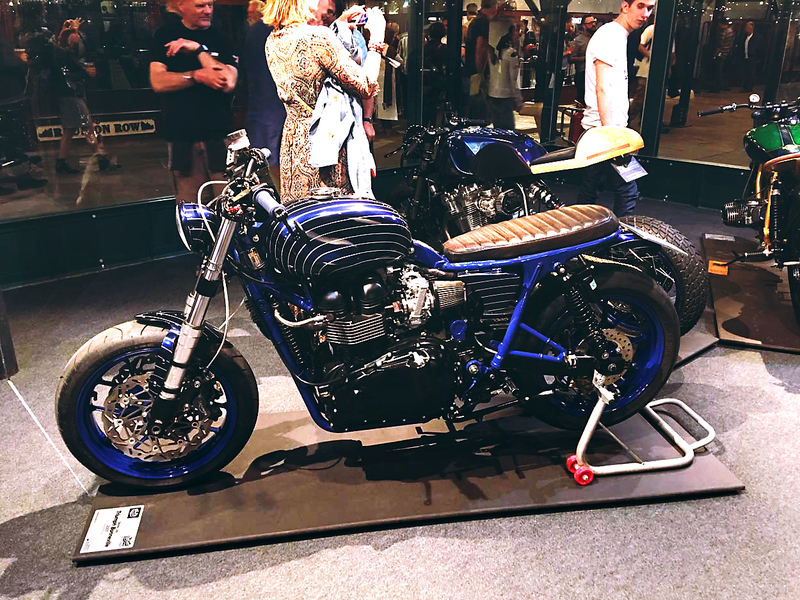 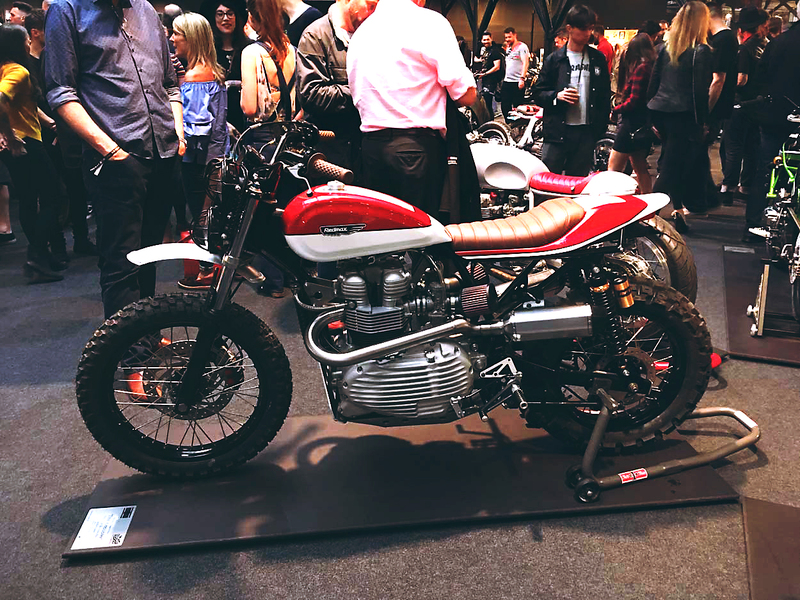 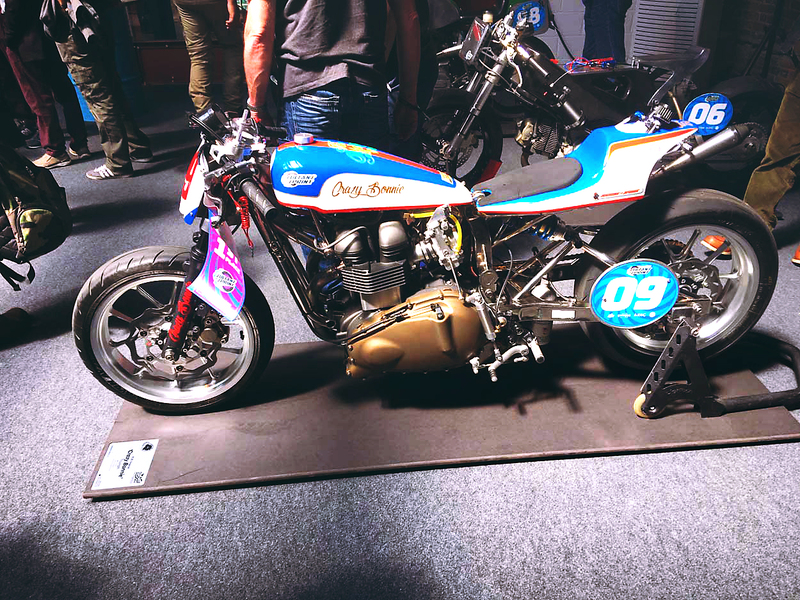 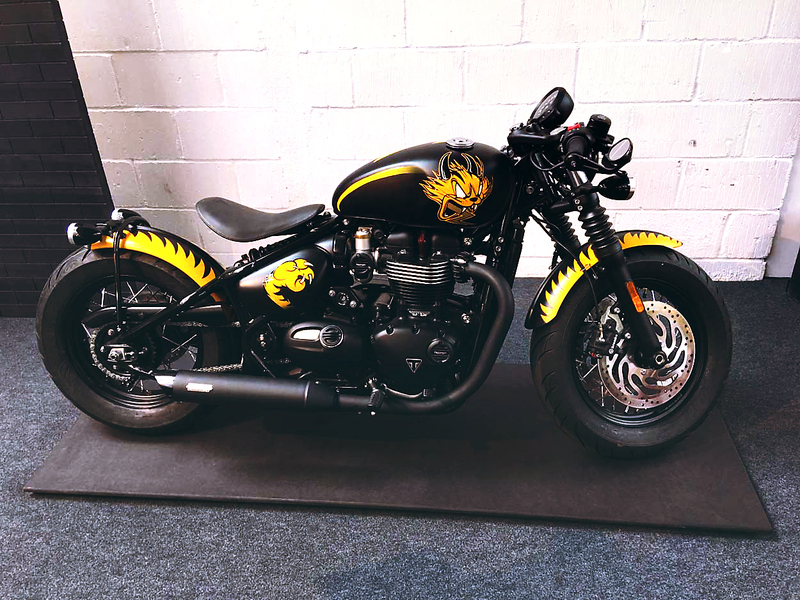 So it was back to the Bike Shed Show 2018, day two. 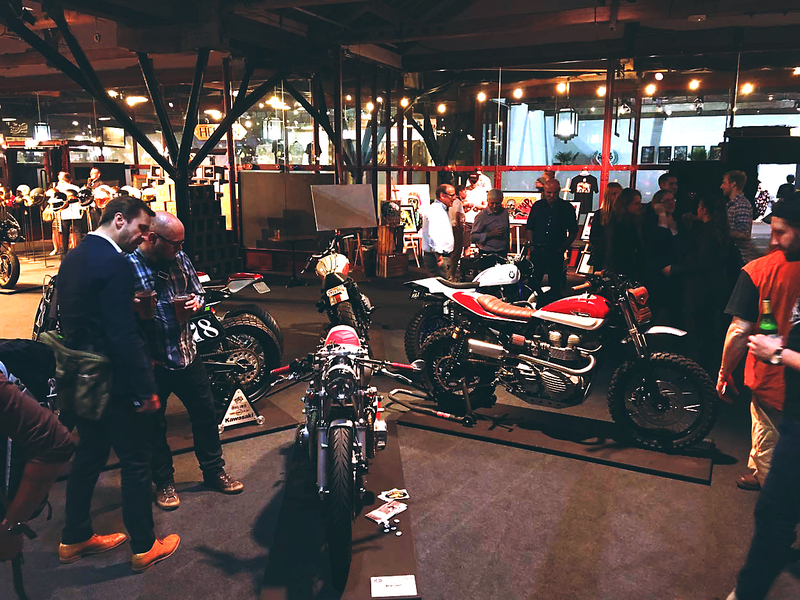 The show on Saturday had a different vibe to it, it was daylight for a start, sunny in fact, and a hell of a lot busier than the previous night, a night which had been pretty busy… very busy. 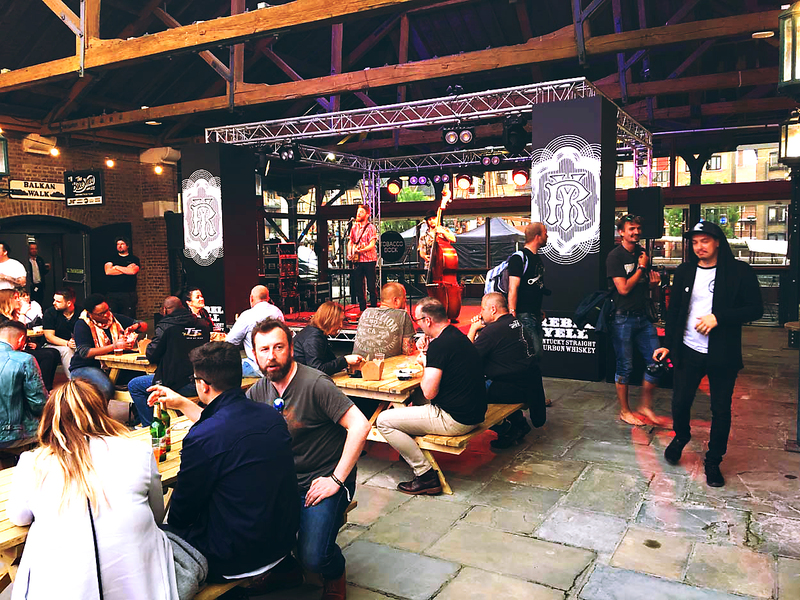 This time the atmospheres in the Tobacco Docks was palpable, it buzzed with excitement. 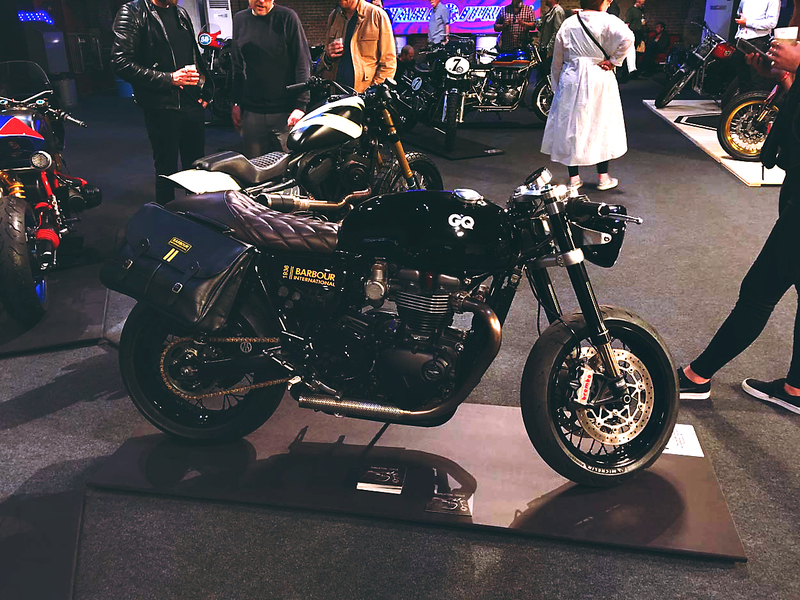 The wife and I formed a plan; we would start at the Wapping Lane entrance and work our ways around the show room by room, finding the bikes and people we missed the night before, avoiding the Bourbon Bar and hopefully ending back outside on the dock where there was food drink and sunshine, and that faux Cole fella. 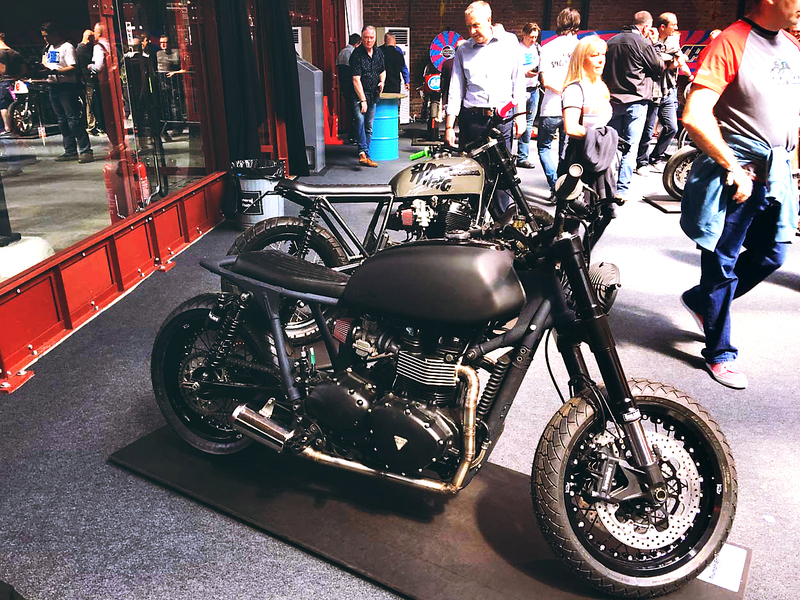 Three hours later, and mission accomplished, as planned we found ourselves back on the dockside, but now exhausted and thoroughly impressed with years Bike Shed Show, but, it was time for us to catch our train back home… what a weekend!